“We’ll make a scientist out of this one,” said “Pop-Pop,” my grandfather, to my mother shortly after I was born. And even though my marks hovered well below the class average throughout grade school and most of high school, this curious pronouncement never became a burden for me as an unattainable expectation. On the contrary, as I grew and the story was told to me, I was flattered by his remark. But I wondered why and how he had thought I would or could become a scientist. For me it was an honor that someone whom I admired deeply had desired this for me. It is impossible for me to know how his hopes influenced my interests, but for as long as I can remember, I have had an insatiable fascination with the natural world. My telescope, microscope, and a large pair of binoculars borrowed from my Uncle Bill were essential tools through which I explored the natural world around me. As a child growing up in Canada, I loved going to natural history museums, such as the Redpath Museum at McGill University in Montreal, the Royal Ontario Museum in Toronto, and the Canadian Museum of Nature in Ottawa. I began my own collection of natural objects — pine cones, sea shells, fossils, and even animal skeletons — until my bedroom was transformed into a miniature natural history museum. Sugar Pine Cone (Pinus lambertiana). Photo by S. Godfrey. When I was 13 years old, I came upon a complete and undisturbed cat skeleton in the forest behind my grandparents’ farm just outside Ballston Spa in east-central New York State. I collected every bone, in the hopes that I could rebuild it, just as I had seen done in museums. With the help of my Uncle Bill’s copy of Sisson and Grossman’s The Anatomy of the Domestic Animals, I reassembled the skeleton using coat hanger wire and white wood glue. A year or so later, on another visit to the farm, my uncle Bill told me of a road-kill dog. After boiling the maggot-infested bones for an afternoon over an open fire, I did the final cleaning of my prize indoors, in my grandmother’s bathroom. Lacking more specialized equipment to clean the slime and gristle off the bones, I used the best available instrument: the rattiest old toothbrush of those available. Once the bones were clean, I quickly rinsed the toothbrush and returned it to where I had found it. Later that evening, I watched in stunned silence as my grandmother scrubbed her teeth with the very same toothbrush (to have spoken up would have resulted in my sudden and immediate death). As far as I know, that brush had a long and useful life afterwards, as did the cleaned and mounted skeleton, which became the centerpiece of my museum. Dog Skeleton, from Sisson and Grossman’s The Anatomy of the Domestic Animals. I pored over this illustration for hours in order to accurately reconstruct my dog skeleton. Collecting continued throughout my childhood. Fishing trips turned into hunts for fossils; stops at rest areas along highways provided an excuse to gather pine cones or to scour rock outcrops for the fossilized remains of prehistoric animals. Trips to the ocean featured contests with my father and siblings to see who could find the niftiest natural object. At the end of our family summer vacations, black garbage bags in the back of our Volkswagen van more often than not contained a frozen critter or the pungent remains of some decomposing carcass. I still marvel at how tolerant, yes, even encouraging my parents were of my pursuits. My interest in biology predisposed me to take great interest in finding an explanation for the diversity and origin of life. The circumstances of my early life made it inevitable that I would seek to answer this question first by engaging the book of Genesis, rather than the theory of evolution. I was raised in an evangelical Christian home. We considered the concept of evolution a rival to the Bible’s explanation of the origins of biological diversity. We equated it with man’s attempt to deny the existence of God. As I would explain it in adult terms today, we were taught that evolution proclaimed an “ateleology,” or absence of inherent purpose, in the created world. Therefore by implication and overt affirmation, anyone who espoused a belief in evolution necessarily had abandoned belief in the existence of God, and had a strictly naturalistic and mechanistic view of the universe. Within such a person’s paradigm, the universe and all living organisms had arisen simply by chance and natural selection. The appeal of evolutionary theory to the atheist, we were taught, lay in its apparent ability to absolve man of his moral responsibility to an almighty God who had created all that there is. For me and my family, God was the omnipotent creator of the world and its biological diversity. 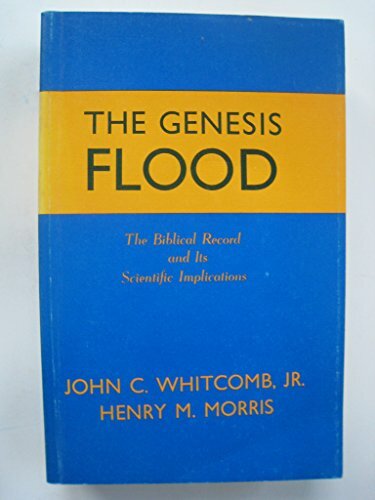 My Dad also had an interest in biological origins and had a first-edition, hardbound copy of John Whitcomb and Henry Morris’s book The Genesis Flood. I recall reading through some of the text and looking at the pictures and being very impressed with its claims and conclusions. While I was still in elementary school my Dad took me to a creation-evolution debate at McGill University. All I remember is a discussion that centered on whether moths on trees in Great Britain proved the theory of evolution. As I grew, I continued to read literature and books from Morris’s Institute for Creation Research, and I received the society’s newsletter, Acts, Facts and Impacts, for a number of years. My family was already disposed, because of our church instruction, to read the creation account in Genesis literally, and under the influence of creationist teaching, we adopted a young-earth paradigm for natural history. According to this model, the earth and the universe were no more than 10,000 years old, and perhaps only 6,000. Our world was created in six consecutive 24-hour days, in a “mature, fully functional” state, its appearance of greater age notwithstanding. If objects looked old, that was only an illusion. God’s creation was, in effect, an instantaneous one. There was no possibility of the earth having been formed through currently operating natural processes, for there was insufficient time for this to have happened. How, then, were the sedimentary rocks that held the fossilized remains of once-alive animals to be explained? We were taught, and believed, that since the earth was very young, they must have been deposited as a result of Noah’s Flood. This Flood was understood as worldwide in its scope and proportions, so that all terrestrial life was swept into the ocean, and vast quantities of churned-up sediments entombed the bodies of these creatures, both plant and animal, creating the fossils I loved to collect. But how was the great diversity of life forms — my lifelong fascination — to be explained, if, given their recent creation, there was insufficient time for one sort or “kind” (the term used in Genesis 1) of creature to have evolved into another? The explanation was simple: “microevolutionary” changes could occur within so-called “Genesis kinds.” Dogs provided an example of such changes. Although there is considerable anatomical variation within dogs, our understanding of the natural world stipulated that those variations had always been limited to the original parameters of the “dog” kind. Once the original created genetic variation had been exhausted, no new permutations could or would appear. Furthermore, disparate kinds couldn’t interbreed to form new kinds. Mutations were the only possible source of “macroevolutionary” genetic variation, but they were always bad, and so could never result in the creation of a viable new kind. Mutations were, in fact, the result of man’s sin. They thus resulted in the degradation of the genome, causing much of the pain and suffering seen today. 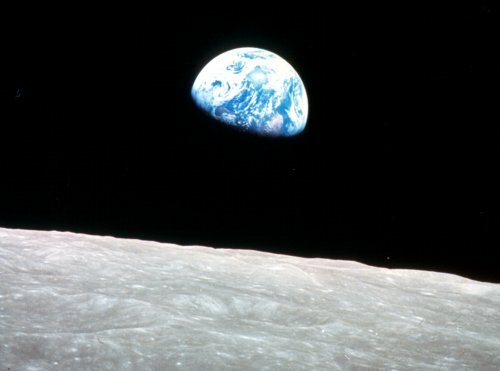 But if all this were the case, how had the notion come to prevail that the earth and universe were ancient? This, we explained, was merely a fabrication of “evolutionary” astronomers and geologists. Their presumption of cosmic antiquity was a position they reached by default because it was vital to their atheistic-mechanistic-ateleological evolutionary theory. Without the intervention of God, a great deal of time would indeed have been needed for natural forces to have shaped the universe and life on this planet into its present state. We dismissed estimates of the earth’s age based on the decay of radioactive elements because such dating methods, we were assured by the Institute for Creation Research, were subject to so many liabilities that their results were of no value whatsoever. I believed that the only way to determine the age of the earth was to count the generations within the genealogies listed in the Bible. I was content with the young-earth creationist view and its implications; it seemed very believable. Growing up, I had never seen any evidence of evolution within plants or animals, so it seemed reasonable that species were created instantaneously, fully formed and with the same appearance that they display today. As a youngster, I was impressed with the scientific credentials of those within the creationist camp. I remember thinking that even if they were wrong, at least I was in good company. But from time to time, cracks would appear in my otherwise solid belief system. Winters in Quebec are long, and there is usually a lot of snow. Huge snow blowers are occasionally needed to widen the streets. In their wake, they leave clean vertical cuts through the piled snow on the sides of the roads. One winter day in my late teen years, as I walked home from school, I noticed that one could easily make out numerous horizontal layers within the larger accumulation of snow. Having walked through many a storm to get home, I knew that not all of that snow had fallen in one storm. Days or weeks could pass between successive snowfalls. I also knew that at times between storms, some of the snow had even melted away. There was no question that the numerous horizontal laminations I was seeing represented snow that had fallen on many different occasions under differing conditions. Some storms dumped a lot of snow, others just a skiff; some during warmer conditions, others when it was much colder. The conditions under which the snow had accumulated affected its appearance. Along the road, I could also see layers made up of snow that was packed hard and gray in color. Having watched huge snow blowers at work, I knew that these layers were the result of their exceedingly rapid and short term labor (certainly relative to the length of time it had taken to accumulate the other, non-man-made layers). Some of these snow-blower layers were very thick, but invariably they were nearly uniform in composition, occasionally displaying a jumbled stratigraphy. A large snow blower cuts through layers of a winter’s worth of snow that accumulated at different times and under a variety of conditions. Some of the layers formed very rapidly under “catastrophic” conditions (those created by the snow blower), whereas at the other extreme, some layers accumulated slowly over much longer periods of time under calm environmental conditions. The characteristics of the layers attest to the conditions under which they formed. Therefore, snow accumulation is a good analogy for the great variety of ways in which sedimentary rocks are formed. Some form under catastrophic environmental conditions, whereas others accumulate very slowly under calm environmental conditions. Illustration by S. Godfrey. The layers within the snow constituted, by analogy, a troubling counterexample to one of the claims of the creationists whose teachings I embraced. On the basis of my understanding of Noachian “Flood Geology”, I expected that if a flood had been global in its extent and had churned up untold trillions of tons of sediments, and that if they had been redeposited within a year or so, then the vast majority of rocks would be relatively uniform in composition — like the snow coming out of a snow blower. I could not help wondering, therefore, why there were such a great variety of sedimentary rocks in the world, analogous to the differentiated snow layers left on the sides of the road. It seemed more likely that sedimentary rocks had been deposited the way the snow had been: on many different occasions, under differing conditions. Assuming that a vast, worldwide flood took place with erosion and sedimentation occurring at intense rates, one can visualize how these vast sedimentary deposits could have been deposited quite rapidly. Dr. Henry Morris, the Director of our Institute, obtained his Ph.D. in hydraulics and he has written much on this subject including a textbook in this field. The load that can be carried by moving water is proportional, I believe, to the fourth power of the velocity and so you can see that the load carried is critically determined by the velocity of the moving water. It is visualized that during the great flood, vast tides were sweeping back and forth across the earth. At any time when the moving waters slowed down, sediment would be deposited, of course. After a layer of sediment had been deposited, the next movement of water would carry its own load of sediment, perhaps from a different area and of a different nature, and this would be deposited once again as the water slowed down. In this way, successive sedimentary layers could be deposited in a relatively short time. The depth of the sediment and the number of the sedimentary layers would be dependent upon the intensity of erosion and the intensity volume of the movement of the water. Dr. Morris feels that most of the present sedimentary deposits could be explained in that way. 06 Why did animals seem designed for conditions after the fall if they were created for a perfect world? After high school and college I enrolled at Bishop’s University to pursue my interests in biology. To my great surprise, I did well academically for the first time in my life. But I also found that my studies in biology created a continual tension in my mind. An important part of the creationist program was to discredit research related to the possibility of change through time. So when, as was inevitable, I took courses where evolutionary concepts were treated, I regarded them with great suspicion, and I was very critical. This criticism, I recognize now, was not aimed at improving the paradigm by which biologists understood the natural world, but simply at destroying its credibility so as to replace it with strict creationist doctrine. Outside of class I would occasionally argue with students, championing the creationist view. One of the other major fissures in the creationist foundation, which grew as I became more sensitive to the functional anatomies of organisms, centered largely on the differences that exist between predators and prey, carnivores and herbivores. Why were predatory organisms so well suited for hunting, capturing and killing their prey, whereas prey organisms, on the other hand, were frequently remarkably well designed for avoiding, hiding, or running from predators? These were not just behavioral differences, they were fundamental differences in anatomy and physiology. Reconstructed skeleton of the extinct giant shark, Carcharocles megalodon, at the Calvert Marine Museum on Solomons, Maryland. Sharks have never been herbivorous. Photo by S. Godfrey. And why would an animal need to have an immune system? No microorganism could have killed it by way of infection. Why would so many animals be camouflaged, or why would so many non-poisonous animals mimic toxic or poisonous ones, if they could not die? Why would there be animals with toxic stings or bites? These would not have been needed as part of the original creation. What would animals would look like if they could not die? Certainly not like the ones we know today, whose organismal anatomy is largely, if not entirely, geared to avoiding death and sustaining life. What did carnivorous plants look like before the Fall? Where did these remarkable designs come from, and when were they created? One question led to another, but I could find no credible answers in creationist literature. Organisms are carnivorous not because of a choice they made at some point in life but because their fundamental design enables them to be. There is an incredible array of carnivorous designs. Many of them employ one or more of the following features to capture and kill prey: greater speed, pointed teeth, sharp claws, higher intelligence, and the ability to build traps, display lures, ambush, or inject venoms and toxins. Illustration by S. Godfrey. At about this time, I attended a creationist seminar series hosted by a Baptist extension seminary in Montreal, Quebec. Dr. Duane T. Gish, the young-earth creationist whom I greatly admired, was the speaker. During one of our corridor conversations, he mentioned that many organisms may have been converted by God from eating plants to eating meat when Adam and Eve sinned. However, he had to admit that the Bible was silent on this matter. So if the Bible was silent on this purported divinely-orchestrated transformation, what other literary source was I to turn to, to shed light on this fantastic and profound change in the biology of life? I knew of none. Author paradigmsonpilgrimagePosted on July 17, 2017 July 17, 2017 Categories Stephen Godfrey's storyLeave a comment on 06 Why did animals seem designed for conditions after the fall if they were created for a perfect world?